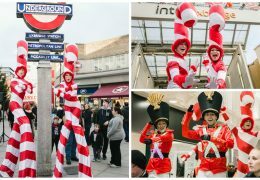 D&G Productions appointed Kru Talent to deliver a host for the UK’s leading charity Retail Trust 2016 Celebration – the biggest annual fundraiser that the charity undertakes. 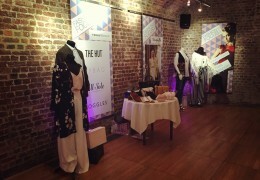 For the second successive year, the event took place in the Grand Hall of the historic Old Billingsgate and welcomed 922 guests including key players of the Retail industry and various well known celebrities. 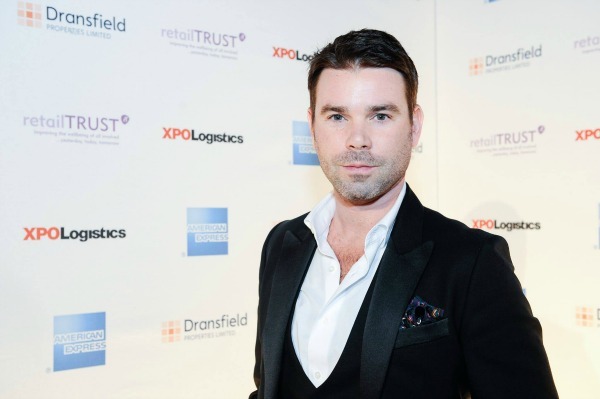 The iconic ’London’s Calling’-themed Ball aimed to showcase the successes the industry, working in partnership with retailTRUST, achieved over the last 12 months. With D&G we carefully selected a charismatic and South London born host who was perfect to add to the iconic London theme and more than able to manage the large and lively audience. 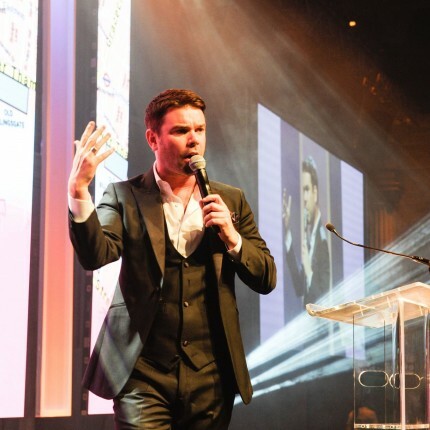 Renowned TV and radio presenter Dave Berry was chosen to lead the fundraising element of the event, introduce acts and important individuals throughout the night. It was crucial that the audience felt Dave was acquainted with the charity – we ensured he was thoroughly briefed on the Retail Trust historical facts before the event and understood the importance of the Retail Trust speeches ensuring the audience was managed during these poignant moments. Dave kicked off the evening in style with a big welcome as he was joined on stage by Britain’s Got Talent Finalists Revelation Avenue. 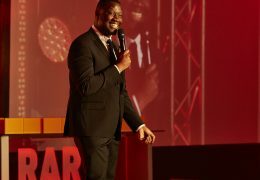 He then conducted a vibrant version of Heads & Tails, before introducing special guests, Retail Trust speeches and case studies encouraging the audience to participate in the fundraising opportunities throughout the night. 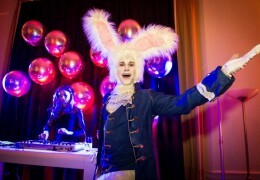 Over £1m raised – the best ‘Celebration’ so far!